Registration for each semester begins during the previous semester. 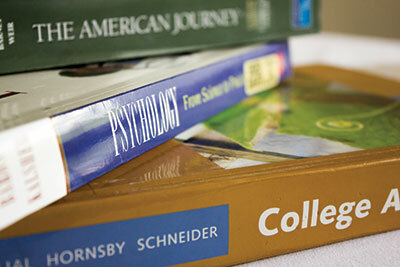 Registration for Fall Semester begins in April. Registration for Spring Semester begins in November. Registration for Summer Semester begins in March. Students who have completed the most credits have first priority in registering (credits you are currently taking don’t count). The closer you are to finishing your degree, the more priority you’ll have so that you can get into the classes that you need. You’ll appreciate this as you obtain more credits. 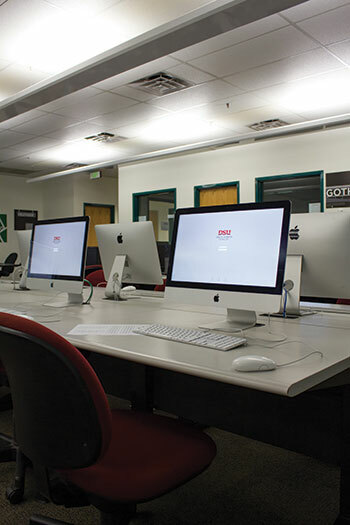 Go to the Dixie State University Students Portal at students.dixie.edu. Scroll down to the "RESOURCES"
Click the semester you want (for example, Spring 2015). Registration dates are listed near the top. Seniors (90 credits or more) can register starting Mon, Nov 17. Juniors (60 credits or more) can register starting Tues, Nov 18. Sophomores (30 credits or more) can register starting Wed, Nov 19. Open registration (less than 30 credits) begins Thurs, Nov 20. Notice that the head start given to sophomores, juniors, and seniors is only one day each. This isn’t much time, so it is important to give some thought to what you want to take before the day that you can register arrives. Don’t wait until just before classes begin to register — the classes you want may be full or they may be closed because not enough students signed up for them. You can register for classes yourself by going online — use the instructions given below. Online registration continues until the first day of the second week of classes; after that you must fill out an ADD card, have it signed by your professor, and take it to the Registration Office. If you need help deciding what classes to choose, make an appointment with a GE advisor in the Academic Advisement Center or with a program advisor in your major. If you need help with a specific registration problem, go to the Registration Office for assistance. Go to MyDixie at my.dixie.edu. Click on [Look up classes to add]. Select Spring 2015, then click on the [Submit] button. Click on [I agree] to indicate that you are willing to pay tuition charges. Select a subject, then click on the [Course Search] button. Look for the course you want, then click on the [View Sections] button for that course. If there are Seats available in the course, you can click on the square to the left, then click the [Register] button to register for the course. If the course has a co-requisite, you must add both classes and then click on the “register” button to register for the courses. If the course is full, a C for “closed” will appear under the “Select” heading. If this is a course you really want, you have the option to put yourself on the waitlist. See the instructions on the next page to do this. If you have a hold on your account, the open sections will say “SR.” Please see an advisor for help. You will not be able to register until you clear up the hold. If you have registered for the class, a screen will appear saying that you are web registered. If it doesn’t, then there will be statement explaining why; for example, you don’t have the prerequisites or a necessary test score, or there is a time conflict with a class you already have. The situation the message refers to must be resolved before you can to add the class. To continue adding classes, click on the [New Search] button. Select the semester again, and repeat the steps above. Each time you add a course, it will show all of the courses that you are registered for. When you are finished adding classes, print out your schedule by going back to the Registration menu (step 5) and selecting [Student Detail Schedule]. Under the FILE menu at the top of the browser, select PRINT. When you are finished, exit the system. How do I get on the waitlist for a class? If a class is full and you want to try to get in, you will need to get on the waitlist for this class. When a space is available, you will get an e-mail message at your Dmail address notifying you, and you will have 24 hours in which to register for the course. You can do so by using the instructions above. If 24 hours passes, the open seat will be given to someone else, and you will have to get on the waitlist again to try to register. Don’t rely on forwarded messages — check your actual Dmail account every 12 hours if you are on a waitlist. Waitlisting will continue through the first five days of classes; a lot of students rearrange their schedules then, so don’t give up until these five days are over. If you are on the waitlist, go to the first day of class and let the professor know that you are on the waitlist. To get on the waitlist, go through the following steps. Go through steps 1-10 above, and when you get to step 10, write down the CRN for the course and section you want to waitlist. If the class is full but available to waitlist, click on the [Action Status] dropbox and select [waitlist]. Then click on the [Submit Changes] button. The waitlisted class will show up on your schedule, but you are not actually registered for the class yet; you are only on the waitlist. You can review your schedule to show the number you are in line to get a seat by clicking on [Return to Menu] at the top, then on [Student Detail Schedule]. This is shown on the far right of the class. Check your Dmail account every 12 hours for a message that a seat is available for you to register. If you receive this message, go through the steps above to add the class immediately. This system is automated and operates 24/7, so don’t forget to check on weekends and holidays. If you change your mind and want to drop a class from your schedule, you can do so online up to the drop date (the end of the eighth week of classes). If you are sure you don’t want a class that you have registered for, drop it right away — it will open up your seat for someone else. If you forget to drop, you will end up with a failing grade in the class. Some professors will drop students for failing to attend class on the first day, but don’t count on it. Be proactive and drop the class online. Please note that if you drop a class that is full, you will not be able to get back in by adding — your seat will be made available to the first person on the waitlist. In order to add the class again, you will have to get on the waitlist, where you will be at the end of the line. So be careful about dropping a class if it is full! Select the semester that you want (for example, Spring 2015) and click on the [Submit] button. Click on [I agree] to indicate you are willing to pay tuition charges. Your current schedule will be listed. Under each class there is a dropdown menu of actions. Choose [Drop] for the class that you want to drop. Then click on the [Submit Changes] button. If you are trying to drop a class with a co-requisite, be aware that when you drop one of the classes, you will be automatically dropped from the co-requisite. For example, if you drop a CHEM 1115 lab in order to change to a different one, CHEM 1110 will also be dropped! If CHEM 1110 is full, you will not be able to add again. (More tears are shed at Registration over this issue than any other!) You must add the lab you want and drop the lab you don’t want on the same screen, then click [Submit Changes] to avoid this problem. Registration would be happy to help you make these kinds of changes.